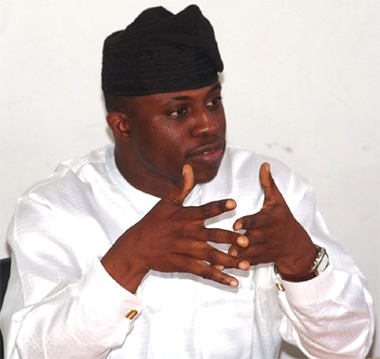 Speaker Dimeji Bankole of the House of Representatives is to be invited for questioning by the Economic and Financial Crimes Commission, EFCC, over an alleged N21.3billion scam bordering on money laundering and gross abuse of office, sources in the commission have revealed. The invitation followed another petition submitted to the commission yesterday by a group, Youth Anti-corruption League, demanding that the speaker be made to account for his stewardship in office. The petition and invitation was immediately dismissed by the speaker who, speaking through his Chief Press Secretary, Mr. Idowu Bakare, described as “one of those political shenanigans that everybody is tired of.” Mr Bakare claimed ignorance of the petition. The group in the petition by its President, Jumoke Ilyasu, and Secretary, Bello Saleh, said: “We are aware that your commission has received several petitions against the Speaker of the House of Representatives, Dimeji Bankole, about the N2.3billion car scam arising from the purchase of 407 Peogeot cars for the House of Representatives sometime in 2008. “We are further aware that certain members of the progressives group of legislators submitted a petition against him on abuse of due process and corrupt practices associated with N9billion capital budget of the House for 2008/2009sessions and to the best of our knowledge, no visible action had been taken against him upon any of the petition. “Only recently, allegations that the Speaker approved a loan of about N10 billion for the House without any resolution of the House supporting the alleged loan. The Director of Operations of the anti-graft agency, Ibrahim Lamorde, in his response to the protesting youths who carried placards with unprintable graffiti, commended the youths for their uncommon courage to come out openly to register their anger.